Da Camera’s recording Rothko Chapel, released in October 2015, is included in the first round voting for the 2015 Grammy Awards in two categories: Best Choral Performance and Best Classical Compendium. This recording on the presigious ECM label features Da Camera’s unique Music for Rothko Chapel program featuring Morton Feldman’s 1971 masterpiece Rothko Chapel and works of Satie and John Cage. 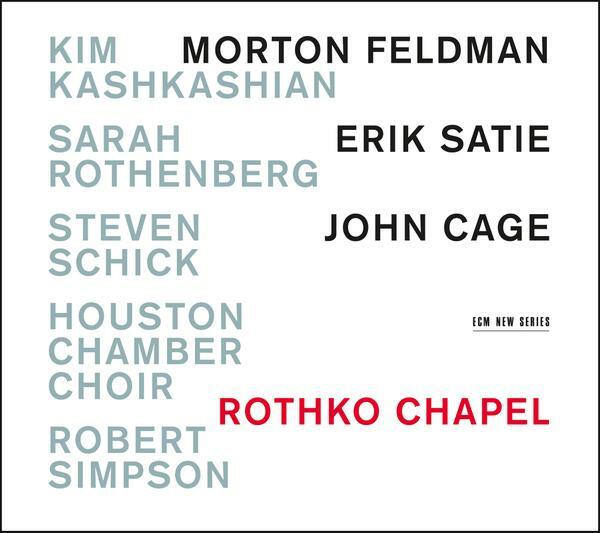 Rothko Chapel was inspired by Morton Feldman’s visit to the chapel in 1971 and by his close friendship with Rothko, who died the previous year. The Da Camera recording is the first commercial recording of Feldman’s work made in Houston, connecting the work to its Houston roots and to the Chapel itself. The performers are Kim Kashkashian, viola; Houston Chamber Choir, conducted by Robert Simpson; Lauren Snouffer, soprano, Sonja Bruzauskas mezzo-soprano; Steven Schick, percussion and Sarah Rothenberg, piano and celeste.